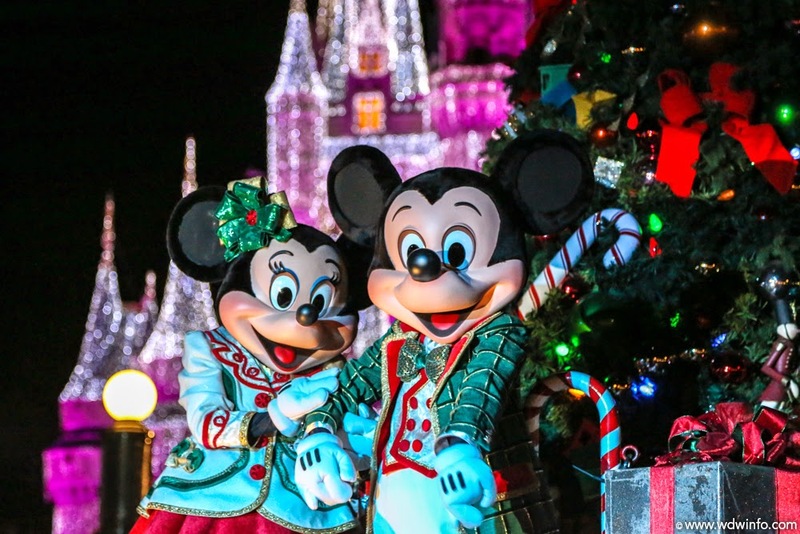 everyone in the family to escape the hustle-bustle of crowds and indulge in some great celebrations on the occasion of Christmas. There is one special place that has been a favourite of many leisure tourists, wildlife enthusiasts, and bird-lovers. It is none other than Kaziranga National Park, located in the Indian state, Assam. This wildlife reserve has achieved tremendous success in the conservation of the Great Indian One-horned Rhinoceros. This animal species are abundantly found in this region along with plenty of other varieties of wild animals. A wildlife safari would enable you to watch all these animals in action. You can book your stay in United-21Grassland,Kaziranga and have access to some of the modern amenities provided in this resort. Christmas is one of those special times of the year, when this resort arranges some excellent treats for its guests. You can have a wonderful dinner with your entire family in the multi-cuisine restaurant of United-21, which serves some of the most delicious varieties of local and other popular cuisines. We at United-21 Grassland, wish you a ‘Merry Christmas’. Mary Victoria Curzon was the wife of Lord Curzon, Viceroy of British India during the early twentieth century. She married George Curzon, a Conservative Member of Parliament, in 1895. George Curzon went on to become the Viceroy of India, and they arrived in the country in 1898. Curious to see the one-horned rhinoceros of India, Mary Curzon visited the Kaziranga region in 1904. When she failed to sight even a single rhinoceros in this area, she realized the urgent need to protect the animal species. She persuaded her husband to take the necessary steps to prevent the one-horned rhinos from extinction. This led to the creation of Kaziranga Proposed Reserve Forest on the 1st of June, 1905. It became Kaziranga Game Sanctuary in 1916, Kaziranga Wildlife Sanctuary in 1950, and eventually, Kaziranga National Park in 1968. 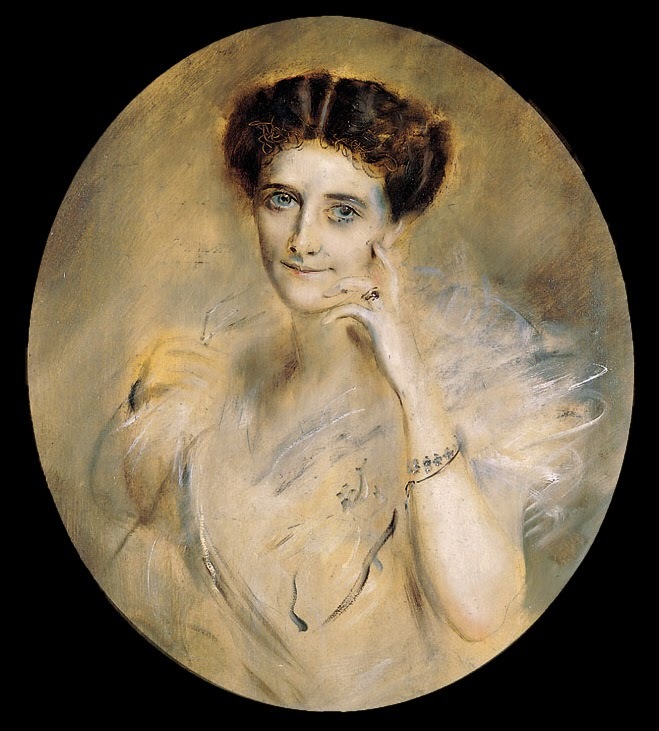 Lady Curzon died on the 18th of July, 1906, at the age of thirty-six. 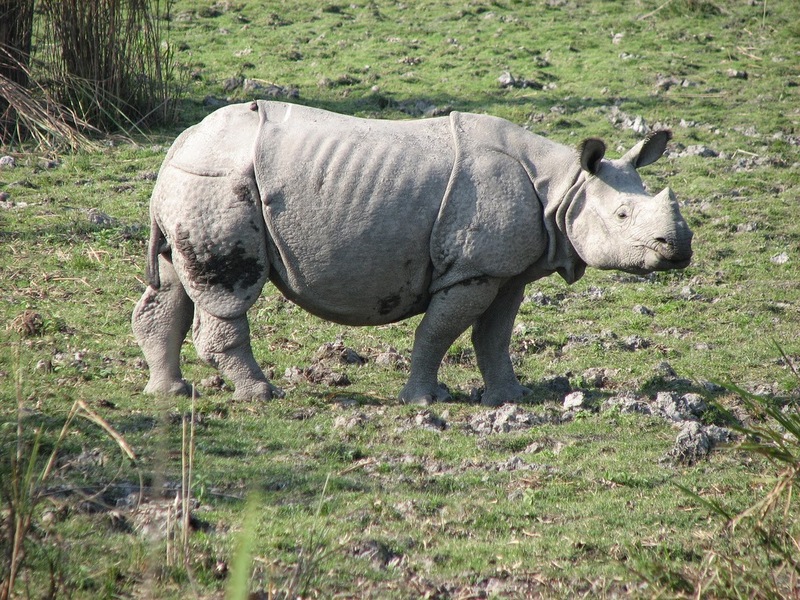 It is owing to her kindness that Kaziranga was able to preserve its one-horned rhinoceroses. Tourists can book their stays in any of the Kaziranga resorts closer to the national park. Proximity of these resorts to the wildlife reserve would give them the convenience to go for their wildlife tours. It was a bright and refreshing morning, when our guests began their trekking expedition in Kaziranga National Park, located in the north-eastern Indian state, Assam. We took permission for the trip from the forest office located at Burapahar Range. Our Jeep stopped here, and we started walking from this point, accompanied by a forest guard. After walking for a while, we came across a hill and a path beset with various ups and downs. 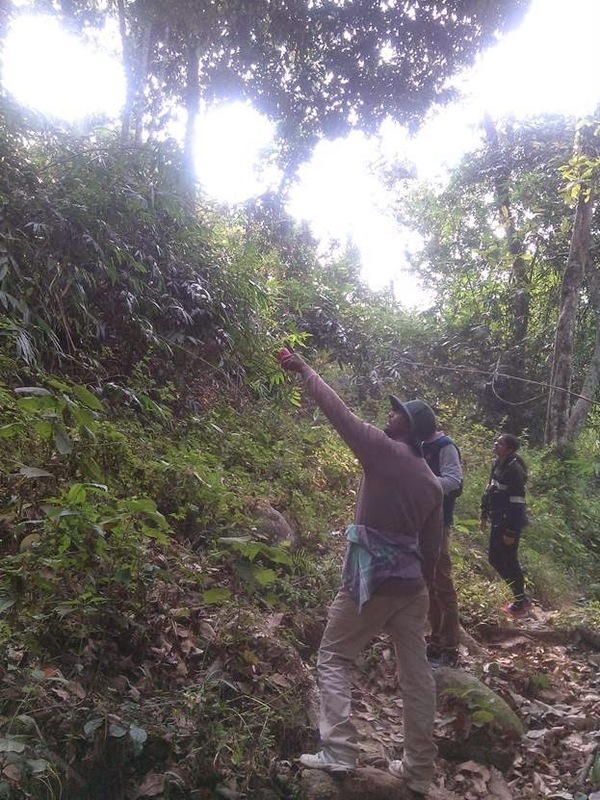 Mr. Kutub, our guide, led us through this rough terrain, offering us some valuable information about different kinds of animals and butterflies. We were spellbound upon witnessing the panoramic views of the floodplain and Kaziranga's ecosystems. Our guest was keen for some more inputs from our guide and Jeep driver, Mr. Kutub. Kaziranga, located in the Nagaon and Golaghat districts of Assam, is a well-known national park in India and a UNESCO World Heritage Site. It is a safe haven for the endangered one-horned rhinoceroses, while it also provides a highly protected natural habitat to various animals, such as, swamp deer, elephants, tigers, and water buffaloes. Plenty of small water bodies can be found in this region, besides the tall elephant grass, tropical moist broad-leaf forests, and marshland. Being located in one of the rainiest regions on the planet, Kaziranga gets about 250 centimetres of rain annually. Monsoon makes its presence felt in this national park from the month of June till September. From November to February, this region experiences mild and dry winter. Summers arrive in Kaziranga in the month of March and continue till May. The hot season is dry and windy with temperatures rarely rising beyond a level of 37-Degree Celsius. Towards the end of monsoons, rhinoceroses and other herbivorous animals rush towards the grassland for grazing. In the hot season, the animals choose to remain close to the water bodies. An accommodation in any of the popular resorts in Kaziranga would give tourists the opportunity to watch these animals in action with the help of wildlife tours. Kaziranga, a UNESCO World Heritage Site in the Indian state, Assam, is one of the most popular national parks of India. Its unique natural environment attracts plenty of tourists from different parts of the world annually. While staying in the resorts in Kaziranga during their vacation, these tourists get the chance to explore numerous species of flora and fauna in this region with the help of wildlife tours, conducted using Jeeps or elephants. 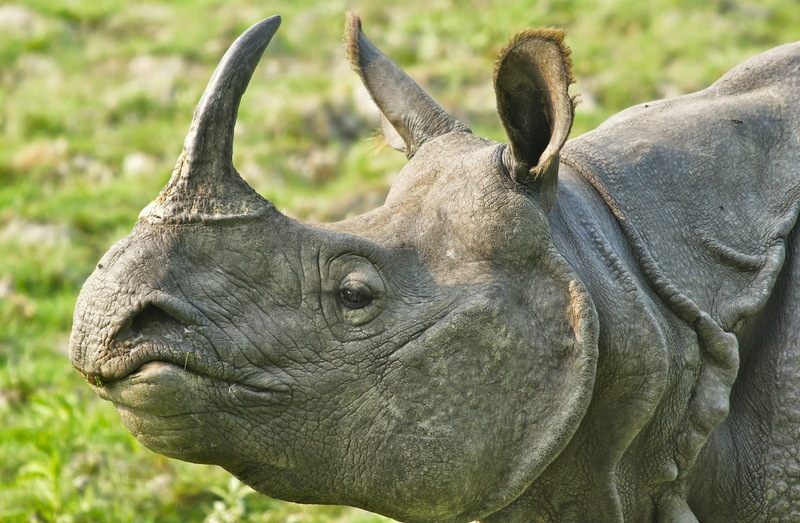 This wildlife reserve has the largest population of one-horned rhinoceroses in the world. Its visitors would bear testimony to this fact when they sight quite a good number of rhinos during their wildlife tours. There was a time when the population of one-horned rhinoceroses in this region were reduced to just 12 due to sport hunting. Today, there are more than 1,800 rhinos in Kaziranga, and the credit for this goes entirely to the park authorities. 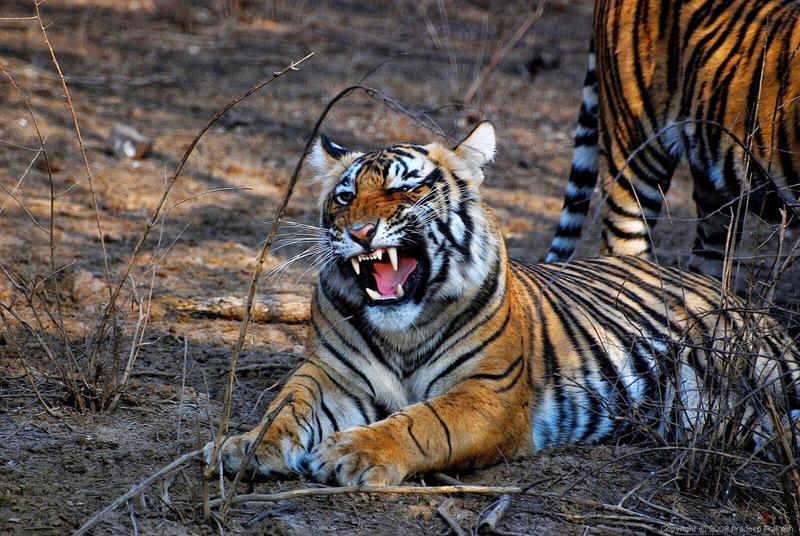 Maximum protection has been granted to this national park under the laws for wildlife conservation in India. 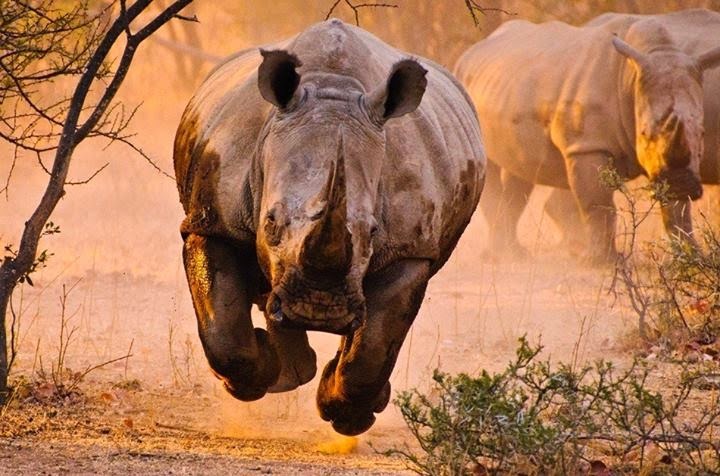 The rhinoceroses, which were hunted in the past by poachers for their horn, are now thriving in their natural habitat. Elevated regions of Kaziranga offer protection to all its wild animals during floods, while the park authorities have also constructed some artificial highlands. Your life is filled with lot of options. So long as you keep your mind open it is easy to find way to relish the life. It is possible to find time by yourself as opposed to being stressed out with work, every day. Act contrary to your schedule, for this will avoid monotony and give you an escape from your exhausted life. A hassle-free solution to that would certainly be to pretty much draw out your notebook computer, check online for weekend getaways around you. A getaway will surely make it easier to get cheerful again. You certainly will learn about one or two venues where you can find a five-star treatment at reasonably-priced packages. You possibly can plan a gathering at a getaway where you are not required to host it. You could possibly schedule vacation to particular destination which provides you with health retreat treatments. Communicate with your mates, family group and family. See if it becomes possible to reset yourself by checking out plenty of amazing venues. Plan an impromptu vacation at any of the affordable resorts in Kaziranga with first-class appeal that might be more pleasurable compared to your very own place of work. United-21 Grassland, Kaziranga is most certainly one such place where in we quite often make certain that you be calm and enjoy your time with your family. Second-largest of the family of gibbons after the Siamang gibbons, Hoolocks range from 60 to 90 centimetres in size. They are found in north-east India, Bangladesh, Myanmar and south-west China. Male and female gibbons are about the same size, but differ in colour to a great extent. Females have greyish-brown fur, while the fur of males are black in colour with white brows. 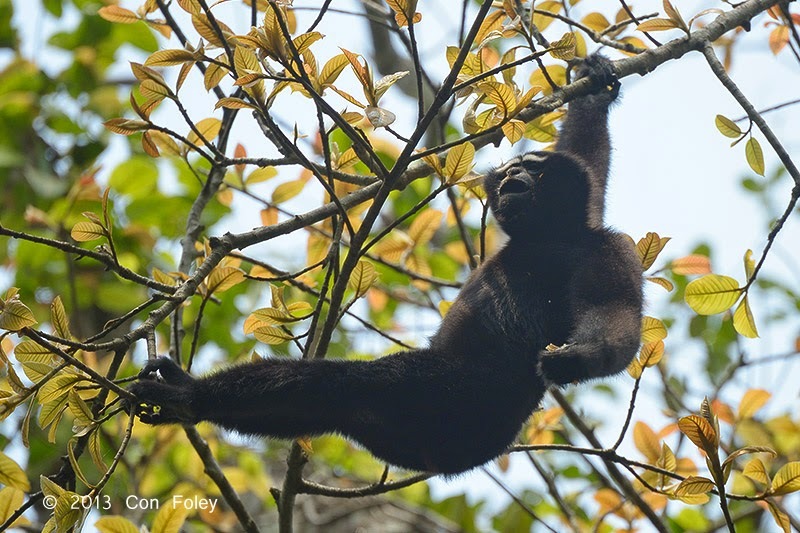 The Hoolock Gibbons feed on leaves, fruits, and insects; and can be seen swinging from one branch to another with their long arms. Hoollongapar Gibbon Sanctuary, located in the Indian state, Assam, has a sizeable population of these animal species. 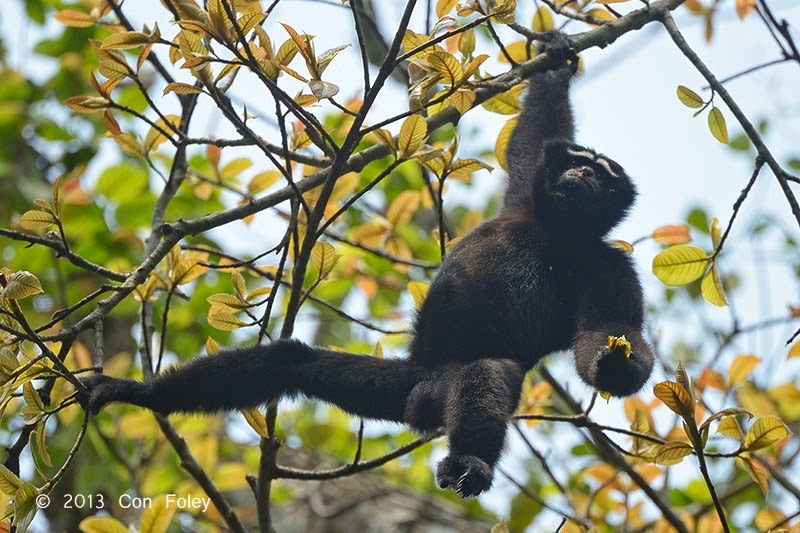 The gibbon sanctuary was initially marked as a 'reserve forest' in the year 1881. In the early twentieth century, a rich variety of flora and fauna was developed with the introduction of artificial regeneration. On 30th July, 1997, it was constituted under Jorhat district and was named 'Gibbon Wildlife Sanctuary'. 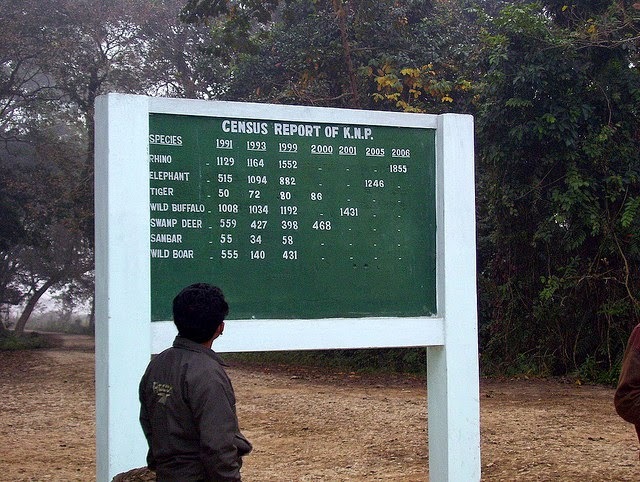 Later, it was renamed by the Government of Assam as 'Hoolongapar Gibbon Sanctuary' on the 25th of May, 2004. A stay in any of the Kaziranga resorts would give tourists the convenience to visit this wildlife sanctuary and many others located nearby. 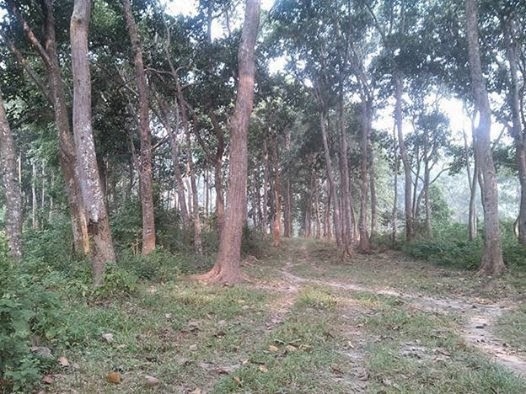 Hoollongapar Gibbon Sanctuary has an abundance of wet evergreen forest areas, as it gets an average rainfall of about 249 centimetres annually. Semi-hydrophytic plants can be seen along the waterlogged region created by Bogdoi River along the border of this wildlife reserve. 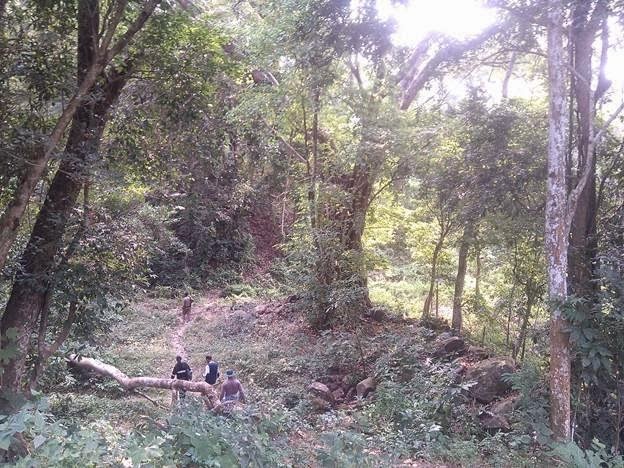 A rich biodiversity of the sanctuary also supports many species of wild animals, such as, Stump-tailed Macaque, Capped Langur, Leopard, Tiger, Indian Elephant and Bengal Slow Loris. Tourists who are on a vacation in Kaziranga region can reach Hoollongapar Gibbon Sanctuary easily by road. The Mariani Railway Station is only a five-minute drive from this wildlife reserve, while the airport nearest to it located at Jorhat. Located in Nagaon and Golaghat districts of the Indian state, Assam, Kaziranga National Park is a UNESCO World Heritage Site. Among the Kaziranga attractions are the one-horned rhinoceroses that fascinate tourists visiting this wildlife reserve every year. Besides the rhinos, travellers can also find a sizeable population of tigers, swamp deer, elephants and wild water buffaloes. 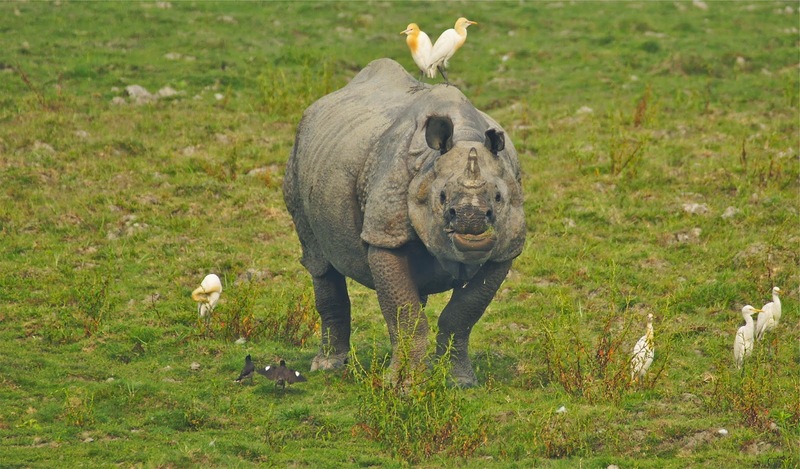 Birdlife International, a global partnership that works towards conservation of birds and their habitats, has recognized Kaziranga as an Important Bird Area. This national park has achieved commendable success in conservation of wild animals and birds as compared to other protected areas in the country. Vast expanses of tall elephant grass, dense tropical forests, and marshland can be found in this region during a Kaziranga wildlife safari conducted with the help of elephants. Small bodies of water and major rivers crisscrossing the wildlife reserve support diverse varieties of flora and fauna. Visitors can watch their favourite species of wild animals, birds and reptiles in action while touring this national park on an elephant. Those who wish to cover most of the areas in Kaziranga within a short period of time can choose a Jeep Safari. All wildlife tours are conducted by trained nature guides, who have an excellent knowledge of the wildlife sanctuary. Those looking for some exciting activities while vacationing around Kaziranga can enjoy trekking from Panbari and Kukurakata reserve forests. Best time to be in Kaziranga National Park is during the period between October and April, as it enjoys a favourable climate around this time of the year. Most of the resorts in Kaziranga provide comfortable accommodations at reasonable rates for the tourists. Rooms or cottages in some of them are tastefully designed using eco-friendly materials, which shows their commitment towards protecting the environment. Amenities provided in them include travel desk assistance, seasonal boating, and guided tours. Assam is a beautiful state in north-eastern part of India, which has an abundance of cultural wonders and fascinating natural landscapes. Some of the most fabulous national parks in India are housed in this region. They have an amazing biodiversity, comprising of various endangered species of flora and fauna. Among these wildlife reserves is Kaziranga National Park, which was established in 1905 as a proposed reserve forest. Today, it is visited by many leisure tourists and wildlife enthusiasts from different regions of the world. Kaziranga has achieved great success in conservation of several animal and bird species that once faced the threat of extinction. Kaziranga is located on southern bank of the Brahmaputra River, and falls in Golaghat and Nagaon districts. This wildlife national park comprises of forests, wetlands, riverside habitats and grasslands. It was accorded the status of World Heritage Site by United Nations Educational, Scientific and Cultural Organization (UNESCO) in the year 1985. Kaziranga has a moderate climate, which supports the survival and growth of its numerous wild animals, trees, plants and birds. Other than the immensely popular one-horned rhinos, this wildlife sanctuary also has a sizeable population of Indian Elephants, Royal Bengal Tigers, Wild Buffalo, Swamp Deer and Wild Boars. Visitors would also find large variety of resident and migratory birds in this national park. Best time to visit Kaziranga is between the months of November and April, when this region is characterized by a pleasant climate. Many hotels and resorts in Kaziranga have come up in the past few years, which cater to the accommodation needs of numerous tourists. Some of the popular resorts have rooms and suites that are tastefully furnished using eco-friendly materials. Their spacious interiors are complemented with a soothing ambience, which creates the kind of environment, which is required for a pleasant stay of guests. Many of the Indian national parks have proved to be an ideal place for the survival of endangered wild animals and birds. Some of these rare species can be found in Kaziranga National Park located in the Nagaon and Golaghat districts of the Indian state of Assam. Every year, several migratory birds arrive in Kaziranga from western countries. One of these bird species is the Eastern Imperial Eagle, which migrates to certain parts of Africa and Asia during winters. Earlier, the Eastern Imperial Eagle and Spanish Imperial Eagle were considered to be the same species. It’s only recently that a distinction has been made between the two..
An Eastern Imperial Eagle is a large bird and closely resembles its Spanish counterpart. They prefer to live in open areas that have small woods, unlike many other eagles generally found on mountains and in large forests. Hence the nests are built on trees having an open space around it and the females lay two or three eggs during the months of March or April. It takes about 43 days for the chicks to hatch. . While constructing their nests, these eagles use tree branches, grass and feathers. Eastern Imperial Eagles are one of the most sought-after attractions in Kaziranga National Park for bird watchers. 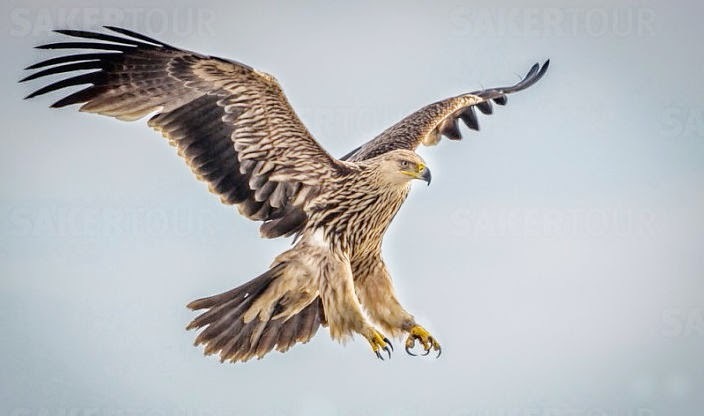 Many of them visit Kaziranga especially for these eagles or several other rare birds..
Wildlife safaris conducted by expert nature guides help wildlife enthusiasts to watch their favourite animals and birds closely. 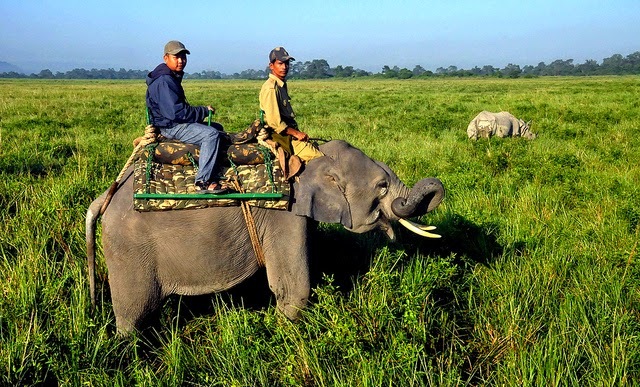 Most of the resorts in Kaziranga arrange these wildlife tours for their guests on demand. These resorts provide excellent accommodations to tourists in the form of rooms and suites that are well-furnished with eco-friendly materials. They are provided with all the modern facilities like satellite television, internet connectivity, and doctor-on-call. Good connectivity by road, rail and air, makes it convenient for tourists to reach these resorts without any hassle. Had it not been for the efforts of Mary Curzon, wife of Lord Curzon of Kedleston, the viceroy of British India, the great one-horned rhinoceroses would have vanished from India. In the early twentieth century when she visited the region, now a wildlife national park and a UNESCO World Heritage Site, there wasn’t a single rhinoceros in sight. Mary Curzon persuaded her husband to protect the rhino population of this region from extinction. This resulted in the creation of the Kaziranga Proposed Reserve Forest on the 1st of June, 1905. The area of this reserve forest was extended further from an initial 232 square kilometers, up to the banks of Brahmaputra River. This region was designated as a Reserve Forest in the year 1908 and re-designated as Kaziranga Game Sanctuary in 1916. A forest conservationist called P.D. Stacey renamed it as Kaziranga Wildlife Sanctuary in 1950. A bill passed by the Government of Assam in the year 1954 imposed severe penalties for the poaching of rhinos. Kaziranga became one of the national parks in India with the passing of Assam National Park Act in 1968. It was accorded the status of World Heritage Site by UNESCO in the year 1985 for the uniqueness of its natural environment. Over the years, this national park has received maximum protection under the laws of India for conservation of its abundant wildlife. Intense patrolling and construction of anti-poaching camps has helped in curbing the menace of poaching to a great extent.. In recent times, cameras are being used on drones and monitored by the park's security guards to protect the endangered species from armed poachers. Elevated regions have also been created for protecting the animals during the occurrence of floods. Many of the resorts in Kaziranga located close to the national parks provide excellent accommodation to tourists visiting this region. Assam is the beautiful combination of variety of landscapes, cultures and traditions bound together by the bonds of brotherhood. This northeastern Indian state has great reserves of wildlife flourishing in the dense jungles as well as some mixed vegetations like grasslands and wetlands. Bordered by Bhutan and Arunachal Assam is popular for its treasures of rare wild animals and birds. Apart from all this the state having a rich heritage celebrates many interesting festivals as part of its cultural and traditional activities. A part of the population stays at remote locations in the jungles and these tribal’s are popular for their tribal dances. 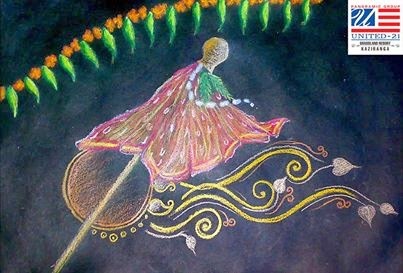 Festivals of Assam are celebrations of the population in which people of all ages, cast and creeds take part voluntarily in the dances, while singing traditional songs. They express their joy by joining the community celebrations. Most of these festivals are having a religious background of worshipping the gods and goddesses. Tourists find these festivals of Assam as one of the appropriate occasions to peep inside the lives of the Asamese people. Participation of the people of different faith makes the festivals more colorful and interesting. Apart from the common festivals of India like Holi, Diwali, Durga Puja and Saraswati Puja some of the festivals like Baishagu, Ambubashi Mela, Bihu and Me-Dum-Me-Phi keep a perfect Asamese touch. Among these pure Asamese festivals Bihu Festival is the most popular festival of dance and entertainment. This national festival is totally based on the cycle of paddy from cultivation till harvesting, hence celebrated in many phases in which Magh Bihu is the celebration during harvesting period. 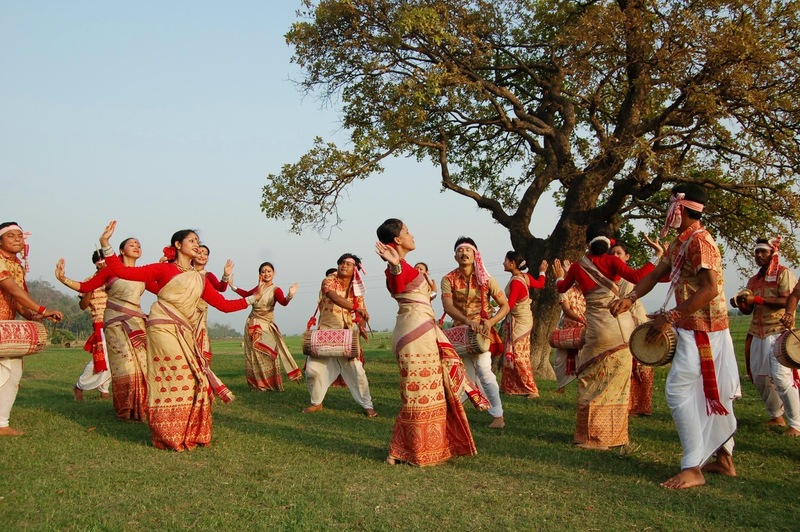 Three types of Bihu festivals namely Rongaali Bihu, Kati Bihu and Magh Bihu celebrated throughout the year are the great moments of relaxation and entertainment in the form of dance and other cultural celebrations. Rongaali Bihu marks the arrival of Asamese New Year as well as the spring season in Assam. It is celebrated in groups by joining Bihu dance in the outskirts of villages while singing the traditional Bihu songs. Magh Bihu keeps more importance among all three and is the period of joy and happiness. 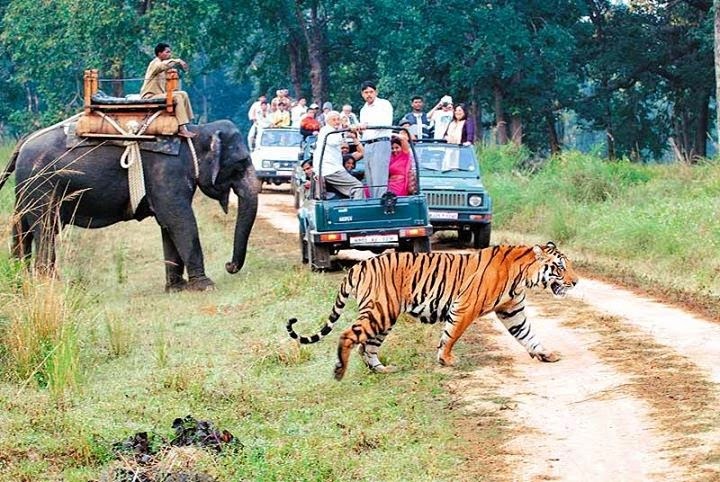 In Assam, there has been a growth in the number of tourists due to its wildlife reserves and promotion of eco-tourism. Kaziranga National Park is one such wildlife sanctuary, which was formed for protecting the dwindling species of one-horned rhinoceroses. This national park has been declared a UNESCO World Heritage Site, and is visited by plenty of leisure tourists and wildlife enthusiasts every year. Over a period of time, many hotels and resorts have come up in the surroundings of Kaziranga National Park, offering comfortable accommodations for its visitors. They also host special events during the popular festivals celebrated in Assam for their guests. The Holi festival in Kaziranga is celebrated by the name 'Phakuwa' for two days. Traditionally, this Assamese festival witnesses burning of clay huts on the first day and celebrations with colour powders on the second day. 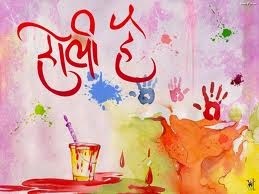 On this very auspicious day, United-21 Grassland Resort wishes everyone a very Happy Holi.